By: Nelson Kukundakwe, Advocacy, Communication, Innovation and Documentation Officer. As a means to curb adolescent health issues like teenage pregnancy, poor access to contraceptives, early marriage and other related vices, the office of the District Health Officer, Kyegegwa with support from Uganda Youth and Adolescent Health Forum held a one day stakeholders’ dialogue on family planning and adolescent health services in Kyegegwa district on 30th January 2019. 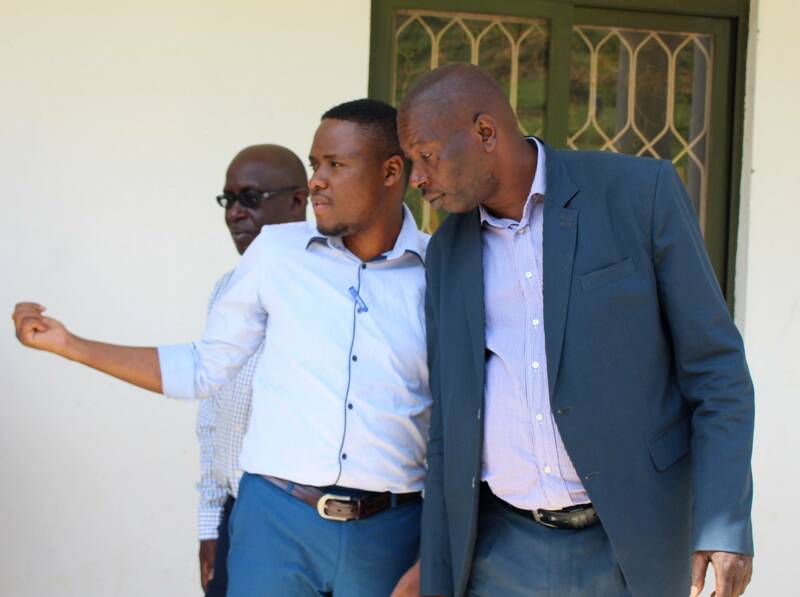 The Chairman LC 5 Kyegegwa district Mr. John Byamukama with UYAHF team leader during on the sidelines of the dialogue. 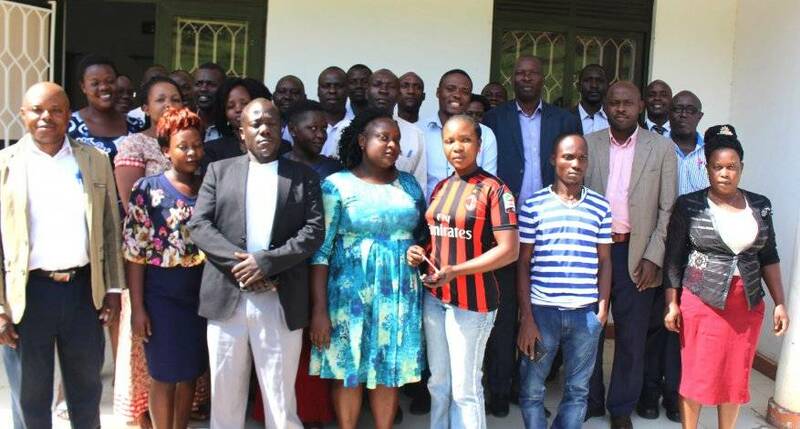 The meeting was adorned with the presence of different top district officials like the District Health Officer, the District Education Officer, the district health educator, the district statistician, the district Speaker and the Chairperson LCV. Others in attendance included the representatives from the Chief Administrative Office. Over 13 Health center’s; II, III IV In-charges among others. While opening the dialogue, the district chairman Mr. John Byamukama Kisoke said many residents of Kyegegwa still hold mythological beliefs about family planning, which has proved difficult to break using the weak existing policies. “I say all this to justify why we need UYAHF’s presence in Kyegegwa, to demystify some of these notions and fare-tales people hold” Mr. Byamukama added. The district’s statistics on adolescent sexual reproductive health and family planning puts the fertility rate of women in Kyegegwa at a scaring 7 children per woman, which positions Kyegegwa as the most fertile district in the region. Worse still, most of the mothers are teenagers; which means they are more likely to bear more children for longer and thus increase on the population rate. 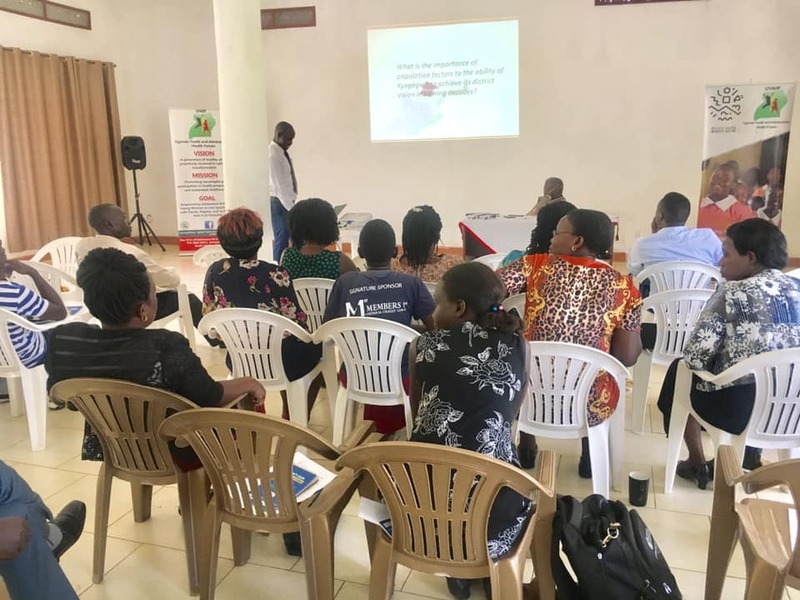 Service providers expressed a need for the district to try and reduce the average fertility to at least 2.2 children per woman adding that this is only possible if women are willing to embrace the use of family planning methods. 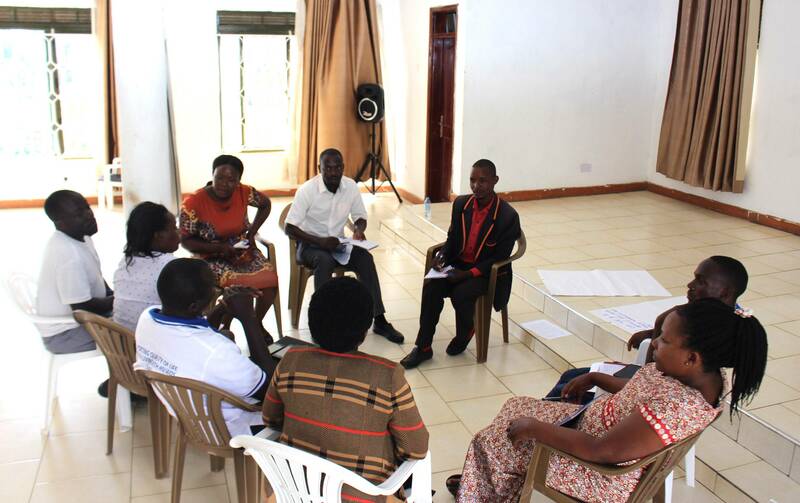 Some of the facility in-charges expressed concerns about lack of youth friendly corners services in the district; lack of experienced staff to handle youth and adolescents issues, and absence of an existing policy regarding young people and adolescents something they say contributes to widening the knowledge gap about SRHR. “It is hard to operate without a policy because then we don’t have anything to implement” says Geoffrey Aboki an In charge. Beatrice Kabayaga, the Kazinga H/C III Incharge says; “We don’t have staff trained to specifically handle young people’s issues. Somehow we forget that theirs should be a special case”.